C4i4 is Mexico City's police surveillance hub. The acronym stands for Comando, Control, Comunicaciones, Cómputo, Inteligencia, Integración, Información e Investigación (command, control, communications, computer, intelligence, integration, information and investigation). 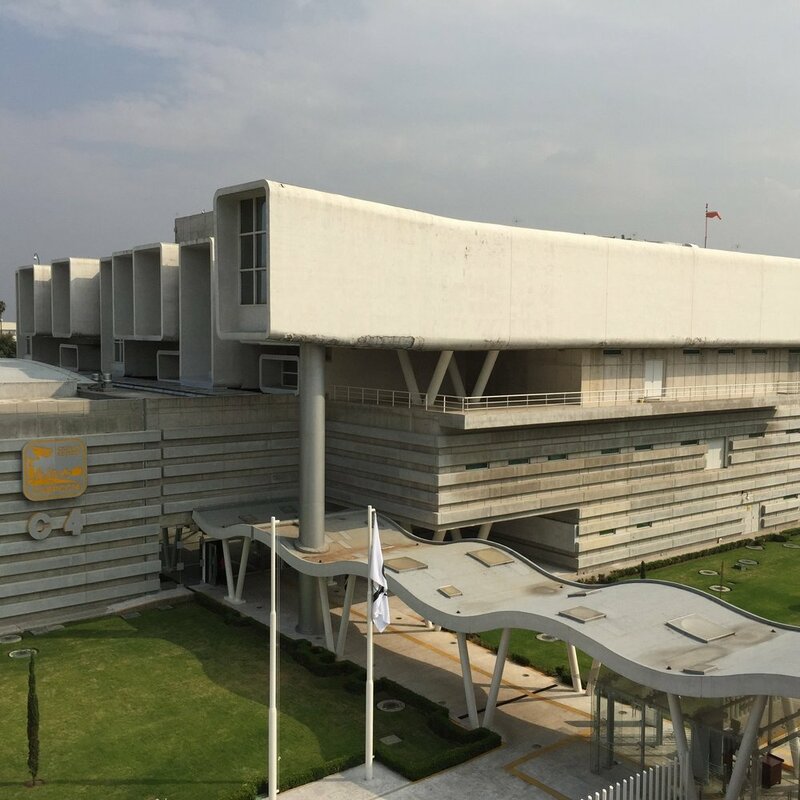 In 2015 the Mexican government merged the agency's responsibilities with the civil services performed by Locatel, and the named changed to C5. Mexico City’s C4I4 is a fantastically overdetermined work of architecture: a concrete bunker, three stories high, that resembles a row of giant surveillance cameras aimed at the city. You can barely see the building from the street, as it rises above a 20-foot perimeter wall. But it can see you… Read more at Places Journal. An earlier version of this essay is published in Spanish at Registromx, Control Óptico: Incendiary Traces en el C4i4. Thanks to Daniela Lieja for the translation.